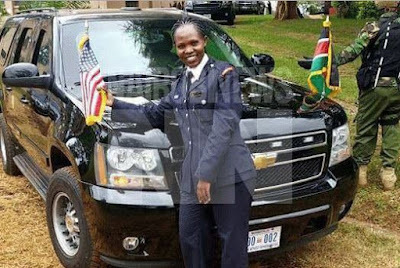 Constable Linda Okello who took Kenya online community by storm after her photo wearing tight skirts while on duty went viral, is now back but in a different way. Contrary to the first time she was introduced to us, Linda is back with an all new look and what should be considered 'decent' in police. 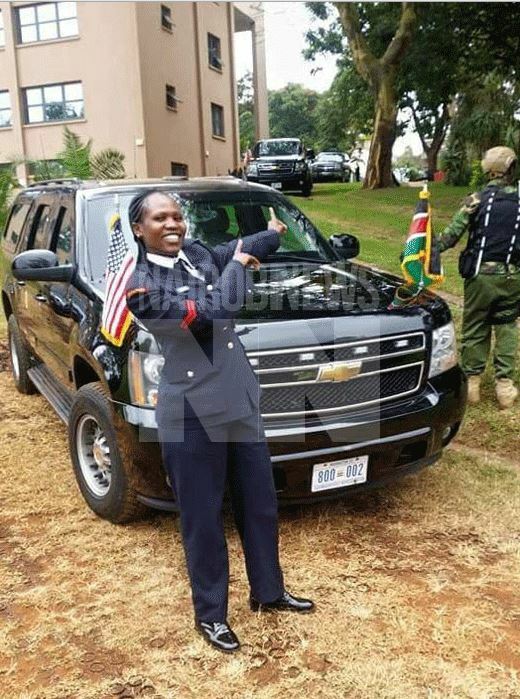 The endowed security officer was spotted posing next to one of the vehicles in Obama’s motorcade. She was spotting a navy blue police shirt and long trousers that covered what made her so famous. Linda Okello was one of the police officers on security detail during Obama’s trip.